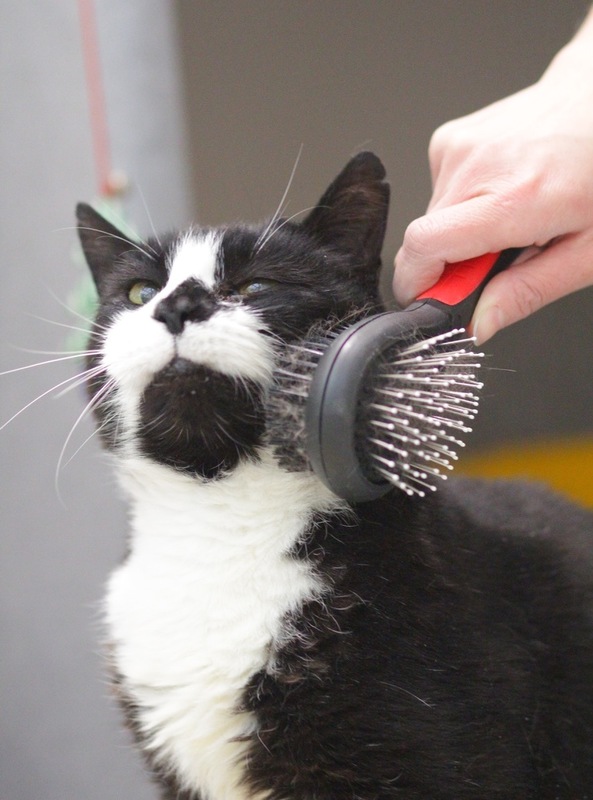 We are always keen to support local people of all ages in gaining experience working with cats in a rehoming environment. Who can apply for a work experience placement? Any student aged 14 years and over is welcome to apply for a work experience placement. Our work experience programme is voluntary and unpaid. What will I be expected to do during my placement? When can I complete a work experience placement? Standard work experience placements are offered from Monday to Friday between the hours of 9am and 6pm for students of college or university age. For school age students the hours are from 9am to 3pm. All students are entitled to a 1-hour break during their day. Our Duke of Edinburgh placements are usually completed over the weekends, and our volunteering shifts are 9am-12pm, 12pm-3pm and 3pm-6pm. These are very popular shifts and at times are fully booked. Please specify on your application form if you have a preferred shift time or day. What is the recruitment process for work experience placements? To begin the process you will need to contact the Mitcham Homing Centre via email to request an application form. Once completed, you can return your form to us via email or post. If your application is shortlisted and the dates you have requested are available, you will be contacted for a telephone interview. Successful applicants will then be required to complete a work experience agreement acceptance form and an emergency contact form. Once these have been returned to the centre we will be able to confirm your placement and you will receive an induction on the first day of your placement. This application process can take around 4 weeks, so we would suggest contacting the centre at least 3 months prior to the dates you wish to begin your placement. What skills or experience do I need to complete a work experience placement with Cats Protection?